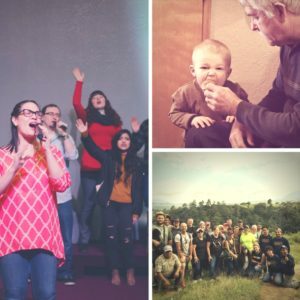 WHERE EVERYONE IS WELCOME Raised in church, new to church, familiar with God, just learning about God, or maybe not so sure about God… You are welcome here! Landmark is made of people who are going through life just like you. Although we may be in different spots in that journey, we can identify with the fact that we want God in the mix. You are welcome here! NOBODY’S PERFECT You will not find perfect people at Landmark! You will find normal people. People who fail, who have struggles, who battle addictions and temptations, people who are far from perfect. But, what you will find is “Us!” You’ll find people who are forgiven and thankful for God’s grace and compassion towards us. You will find people who are committed to each other in life’s journey; and you’ll find our sincere desire to love others as God loves us, imperfections and all! AND ANYTHING IS POSSIBLE At Landmark we believe that with God.. Anything is possible! We believe that God has a plan for everything and that God is in control. We believe in the ordinary and the extraordinary. The normal and the miraculous. We believe that God is the same yesterday, today, and forever. You’ll hear us talk about these things because we believe them to be true. God is pretty amazing and we love to celebrate that! In all we do, we will do our best to communicate this message: With God.. Anything is possible! IF YOU WOULD LIKE TO PLAN A VISIT WITH US! HERE’S WHAT YOU CAN EXPECT.